Financial distress can strike anyone at any time. Loss of employment, divorce, unexpected medical costs, and a variety of other conditions can lead to a seemingly hopeless situation in which it is virtually impossible to see a future which is debt-free. For businesses, market changes, unexpected operating costs, undercapitalization and other economic conditions may result in situations where a business seems to drown in red ink. 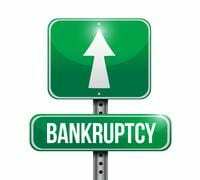 Often, a bankruptcy filing is the best alternative. Federal law provides different forms of bankruptcy to assist the financially strapped to liquidate their debt and move on with their lives, or reorganize their debt. People frequently are able to retain homes, cars and other prized possessions despite a bankruptcy filing. Businesses may be able to reorganize in such a way that they can continue in business after a filing. An experienced bankruptcy attorney can be critical in the decision to file, and what form of bankruptcy to file. Similarly, creditors may wish to speak with an attorney about their rights and treatment when someone who owes them money files bankruptcy. If you have questions regarding bankruptcy, you should contact Richard J. O’Brien. Rick can answer questions about what assets may be retained, what debts may be discharged, how debts may be restructured, etc.